When I was a kid, people ate something called Pork and Beans. It came in a can and was basically baked beans with a couple of teeny tiny pieces of…meat?… which may have originally come from a pig. In a time before Fast Food, it was a quick and easy meal – right up there with Kraft Dinner™. As far as I know, people had been eating Pork and Beans ever since Napoleon figured out his army marched on its stomach and served up the first MREs, sealed in champagne bottles. Regardless, a lot of people ate Pork and Beans back in the day. Then a curious thing happened. A nameless Canadian bureaucrat was sitting around, picking his orifice one day, when, for some unknown reason, he took a look at the contents of the Pork and Beans can. He discovered what everybody else on the planet had known for a hundred years: Pork and Beans was actually a whole lot of beans and not very much pork. According to our boy, though, this was clearly a case of consumer fraud. Canadians (at least those with the IQ of a blueberry) needed to be protected from corporate treachery and lies; otherwise, they might think they were buying a can of pork with some beans in it. I’m not making this up, by the way: it’s a fictional depiction of a series of real events. 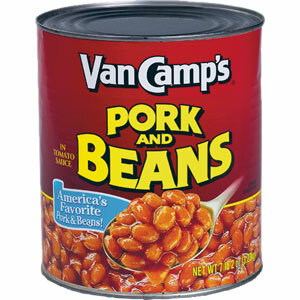 Anyway, the name was changed from Pork and Beans to “Beans with Pork” — to reflect the actual contents of the can. It was our government hard at work and a presumed victory for consumer rights. That was sometime back in the 60s, and I’m sure the nameless bureaucrat has long since received his heavenly reward. He’s probably lounging through eternity right now, counting harp strings or divvying up the haloes. However, I think we need to resurrect his kinda diligence these days and get a couple of things straight. First of all, for the last two or three decades, some people have been wrapping themselves in explosives sprinkled with metal shards, ball bearings, marbles or what-have-you. They wander into crowded public places, push the detonator, and ka-boom. Everything (and everybody) within shouting distance is torn to ribbons. It’s a disturbing trend. 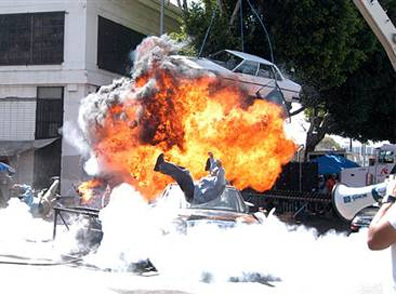 We call such people “suicide bombers.” What a deceit! Nothing could be further from the truth. Those people who just got killed in the shock and awe of intimate acquaintance with plastic explosives did not, I repeat NOT, commit suicide. They were murdered! And the person who pushed the button is the murderer! There’s no other name for it. The only way the button pusher can be called a suicide bomber is if he blew himself to smithereens in the privacy of his own home: then, he might have an argument. 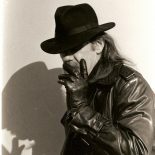 However, the minute he involves other people, he (or she) becomes a murderer – full stop – and a premeditated murderer, at that! After all, it takes a bit of doing, even in a war zone, to get your mitts on explosives, learn how to use them properly and scope out a location for maximum damage. These might be crimes of passion, but they certainly don’t happen on the spur of the moment. And speaking of passion, I have the feeling homicide bombers (note the more inclusive name) may be committing a hate crime as defined by Canadian law. You really have to hate somebody a lot to blow your own guts out just to get at them. I don’t hate anybody that much. In fact, I don’t even know anybody who hates anybody that much. For my money, the PR Company who thought up “suicide bomber” as the accepted term for a person who deliberately goes out and murders complete strangers should get a Clio Lifetime Achievement Award. This is one primo euphemism that puts anything the US government ever thought of to shame. Adbusters, where are you now? However, if you want to talk about euphemisms, the granddaddy of them all is “honour killing.” If you’ve been in a monastery for the last ten years, understand that honour killing is the growing tendency whereby male members of a family get pissed off with one or more female members of the family and, instead of arguing about it, they simply kill them. Honour killing? What an oxymoron! I’m going to go out on a limb here and say there is no honour in killing people. It’s not an honourable practice. The only time it’s ever even condoned — and then with mucho caveats — is during times of war or in situations of extreme self defence. That’s it! It’s the big crime! There’s nothing worse! So why have journalists, social commentators and the judicial system decided that when it comes to slaughtering members of your own family, that’s somehow tangled up with familial honour? What social faux pas could be so heinous that it deserves the death penalty? They didn’t execute Jeffrey Dahmer for God’s sake — and he ate people! If your wife or daughter is eating people, you might have a case, but otherwise…. Actually it should be called “really, really bad killing” for the simple reason that (at the risk of sounding a little too insensitive for the 21st century) it’s actually a worse crime than killing a stranger. I’m not downgrading the importance of strangers, but objectively you have no serious emotional attachment to people you’ve never met. Whereas, if you’ve held some baby in your arms, helped her take her first step, taught her to read and watched her grow, you’ve got to be one cold cowboy to murder her. And, at the end of the day, that’s what it is – murder. However, here’s the one that gets me, and I do not understand why every advocacy group in this country from The National Action Committee on the Status of Women all the way down to the Girl Guides isn’t boiling over with rage about this. I find it terribly disturbing that this happens so frequently that we have a name for it. I still think the term “suicide bomber” as a METHOD of delivering the bomb says something specific about both the murder(s) and the murderer—hence it is a better word than murderer. Motive is important. Murder is a big, sloppy word. Killing a daughter in the name of family honour is, for most of us, a particularly horrific crime; that’s why I like the distinction. It sounds more despicable to my ears— not less and certainly not a euphemism. I beg to differ. I think the minute you have involuntary participants you move the dial from suicide to homicide. This entry was posted on November 2, 2011 by wdfyfe in Social Media and tagged Crime, Crime and Justice, Honor killing, Murder, social comment, Suicide attack.